Acorado scored perfect 10's in jumping at his initial approvals where he was champion. He then won his 100 day test in Germany with an astonishing 149 in jumping and 127 in dressage, ranking him among the worlds best. 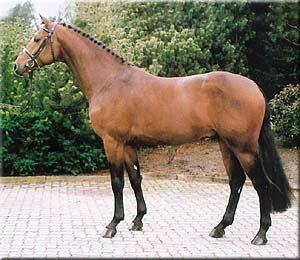 The following year he went on to win the Bundeschampionade as a five year old and was placed in the top five in the 6 year olds Championship. 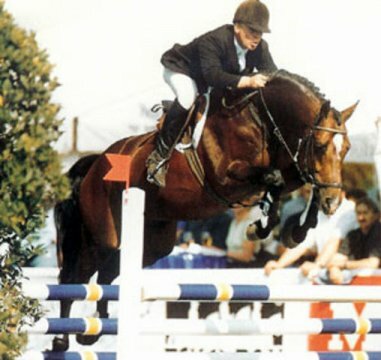 He was destined to become a jumping legend when he died unexpectedly at only seven. But Acorado, who stood at Stall Hell along side his sire Acord II and his stablemate Calido I, remains today one of the best jumper producers in the history of the sport.